Music icon Bob Dylan is renowned for his poetic and vivid songwriting, yet at various stages throughout his career, he has put his pen down and opted to perform songs that were composed by others. Occasionally, he even releases whole records of such interpretations and they're often as revealing and enigmatic as his own work. Triplicate (out now on Columbia) marks Dylan's first triple-album and his third straight release that finds him performing classic material from the American songbook, turning his touring outfit into a small big band orchestra so he can croon dark, foreboding, and romantic songs. A master of phrasing and getting at the heart of a composition, Dylan has a high batting average when it comes to redefining a song. And, when called upon to celebrate a famed artist, he digs deep, selecting tasteful, somewhat obscure pieces to cover. 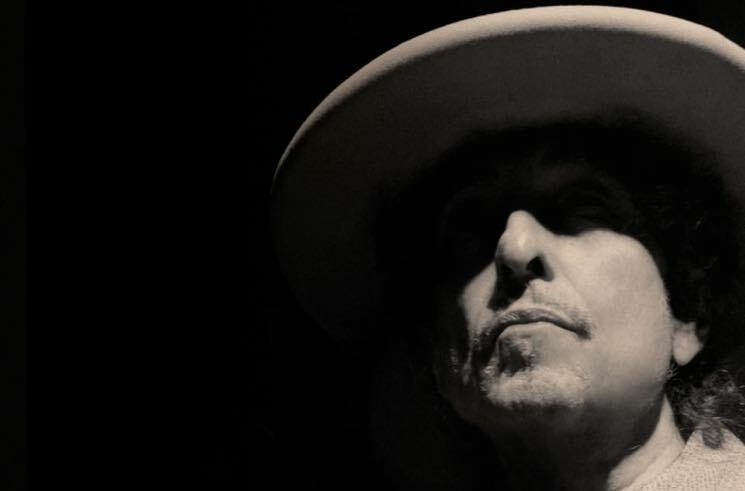 Here's a short overview of some fascinating instances where Bob Dylan pays tribute to artists, writers, and songs he admires. A folk song called "Corrine, Corrina" was originally recorded by the Mississippi Sheiks in 1928 and then took on many iterations before Dylan reimagined it — lifting lyrics from Robert Johnson songs — as "Corrina, Corrina" for his 1962 album, The Freewheelin' Bob Dylan. The recording marked his first Columbia session with a backing band, though the version above features just him and a guitar. After touring the world backed up the Hawks (soon to be the Band), Dylan retreated to upstate New York where and his bandmates spent some time messing around with old, weird folk songs. These "sessions" eventually became The Basement Tapes and sparked a slew of original songs, imbued with jokes and free language and vocab, but it was all rooted in a certain kind of tradition. Among the songs they learned was "Spanish is the Loving Tongue," which Dylan again revisited in the reflective era that spawned his Self-Portrait record in 1970. The unreleased, unofficial solo version here sounds like it was captured during the sessions for his next record (released four months later), New Morning. Here's a great example of Dylan redefining a song. At a televised tribute to Johnny Cash in 1999, Dylan and his band dig into the song, an early chugger for Cash, and turn it all upside down, transforming its forlorn hook into something joyous. Larry Campbell's harmony vocal lifts it up and Bob dances a jig. When Warren Zevon announced he had terminal cancer, his peers wept but also came to his side. Dylan paid tribute on his 2002 tour by first relinquishing his guitar for a piano (which totally altered his live show; he has almost exclusively played a keyboard ever since), and then inserting a number of Zevon songs into his set. Among the most moving is this version of "Mutineer," captured live on this tour and later featured on the 2004 tribute Enjoy Every Sandwich – The Songs of Warren Zevon. This one is personal. I went to the last two of three Dylan shows at the State Theatre in Detroit in March, 2004. The governor of Detroit had declared March 16, 2004 "Bob Seger Day" and so Dylan ended that show with an uproarious version of Seger's "Get Out of Denver." The next night, as the set ended, the air buzzed about the encore. Sure enough, the band wordlessly emerged onstage, but were accompanied by known Dylan fan/coverer, Jack White. Remarkably and for one night only, Dylan performed "Ball and Biscuit," a song by the White Stripes. It was nuts to see in person and a telling moment about Dylan's generosity and White's fortune. For someone with a rep for being a deadly serious guy, Bob Dylan has a wicked sense of fun. When people scratched their heads about why he'd release the Christmas in the Heart collection of standards in 2009, you could almost hear Dylan chuckling about it. Based on trips to the mall during the holiday season, where his manic, re-jigged version of this song (complete with a conflation of magic reindeer and U.S. presidents) often blares in stores, this might be Dylan's biggest hit in years. And the video is amazing. Someone's gonna write a book about Dylan's TV appearances over the past 20 years. He clearly has an aesthetic he's going for with how he's filmed and composed for these things. On David Letterman's second-last episode as a late night host, he landed a recurring favourite in Dylan, who was then promoting his haunting 2015 album of jazz-pop ballads, Shadows in the Night. From the pacing — both musical and Dylan's stern wandering — to the vocal, it's a breathtakingly stunning performance that fills the screen and stays with you. Even Dave is in awe.